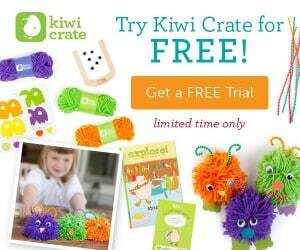 You can (and should) sign up for a get a free trial of Pom Pom Pets from Kiwi Crate. This deal is back live again. But only for a limited time. It expires this October 31st. So, make sure you take advantage of it today before it expires! With Pom Pom Pets, your children can create three of their very own fuzzy friends to play with. They also explore the world of imagination and storytelling through the Explore! Play and Learn magazine. This magazine includes bonus projects and activities your children are sure to love. The deal expires this October 31st.